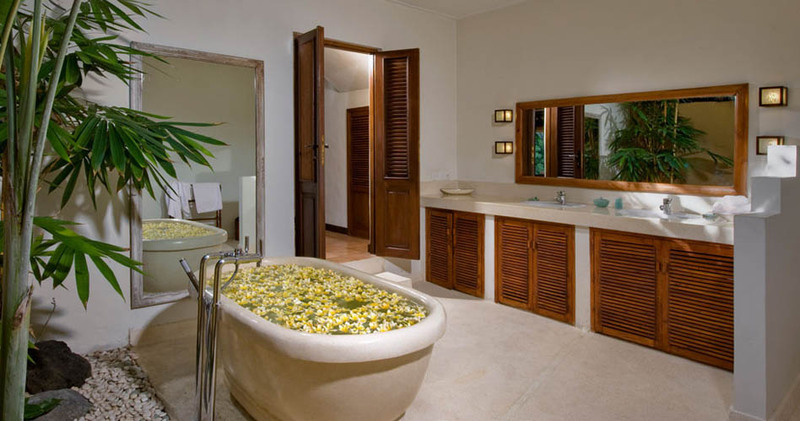 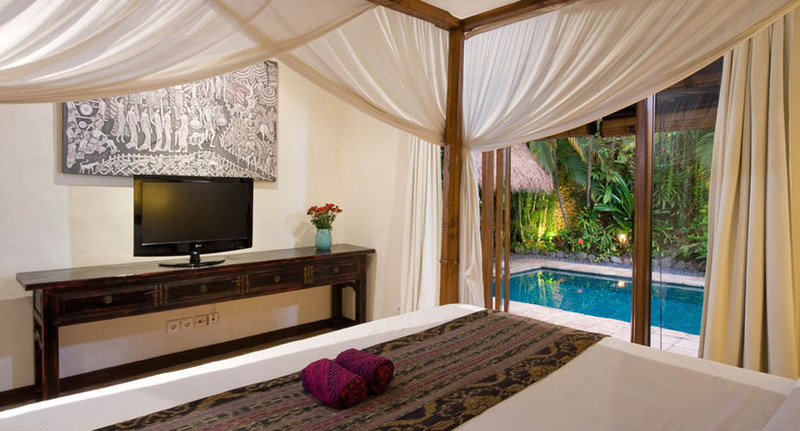 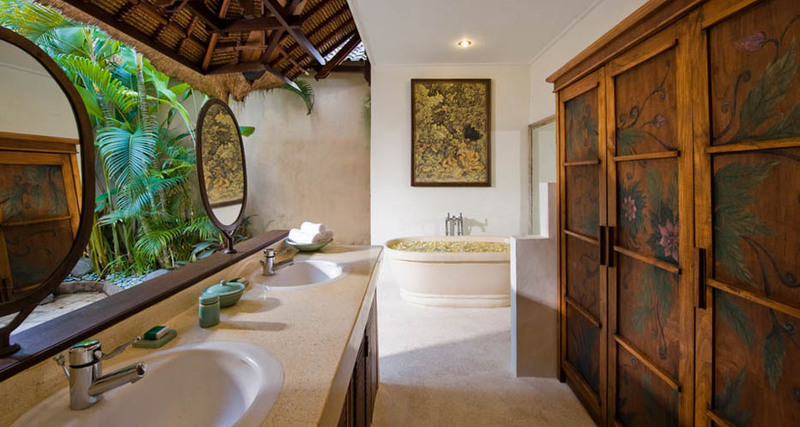 In the very heart of Seminyak, trendy Bali, Villa Kubu 3 is hidden in a luxury estate gathering quiet villas and a spa. 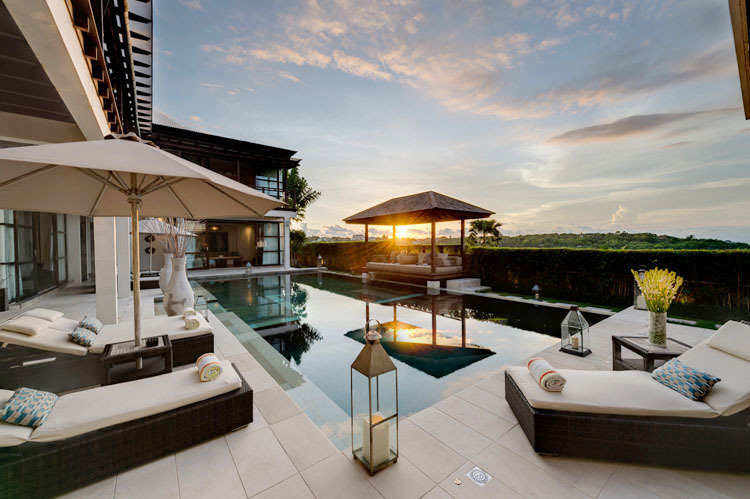 This location has the double asset to provide a calm atmosphere while being close to many facilities within walking distance. 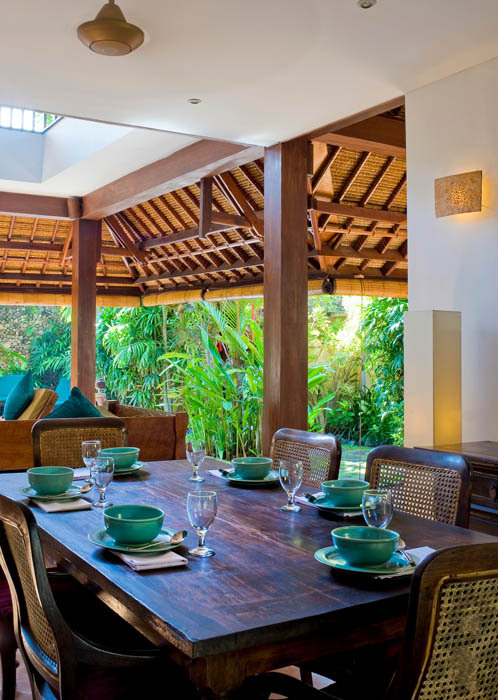 This villa for rent in Bali consist of 3 bedrooms, it will satisfy a family or a group of friends who will be able to take advantage of the mild climate. 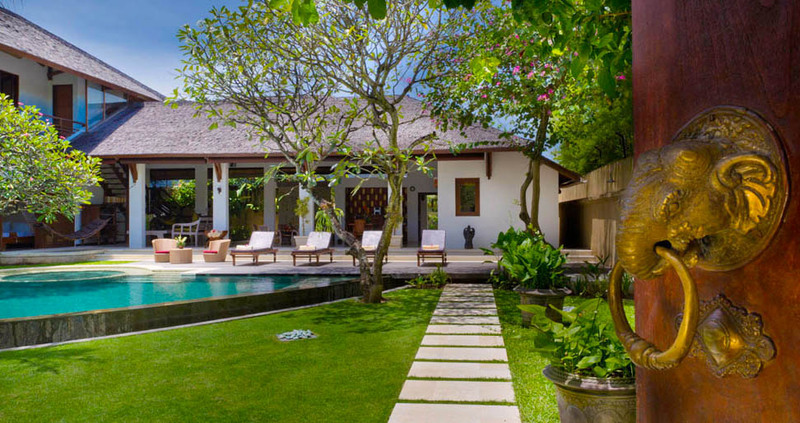 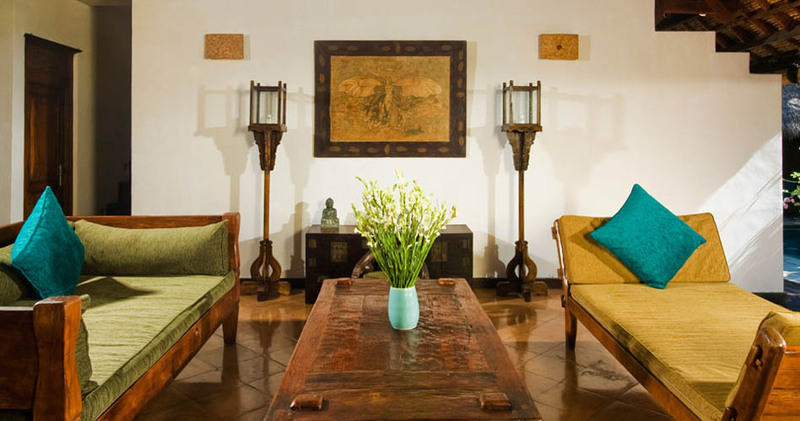 The house is fantastic, featuring an elegant Balinese style made of thatch roofs. 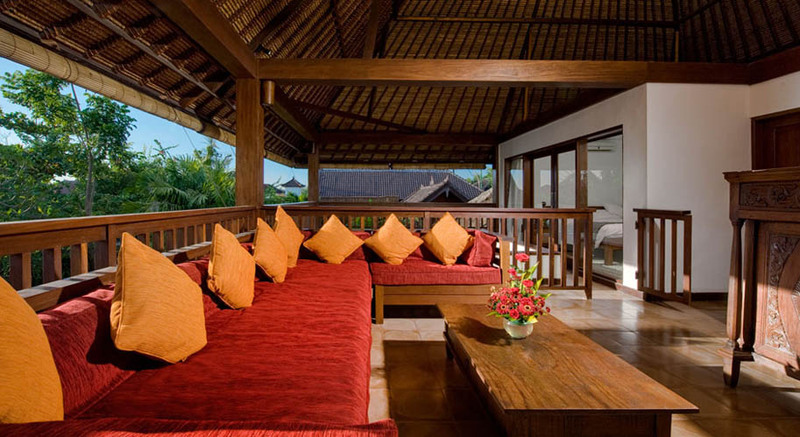 Inside is very spacious and living areas are open-sided to the outside, facing the garden and its lovely swimming pool. 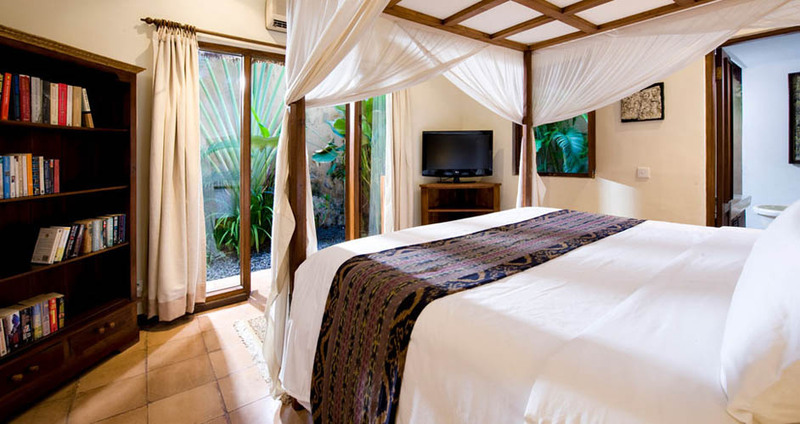 Six guests will feel really comfortable among the 3 bedrooms that have all the modern comfort suitable to nice and relaxing holidays. 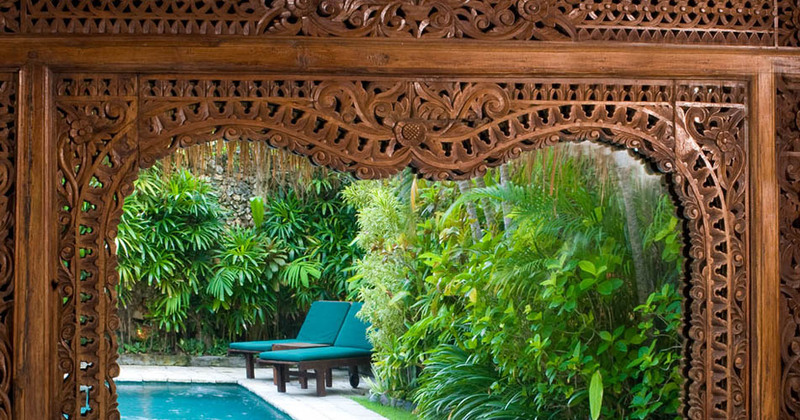 The tropical garden is also so charming. 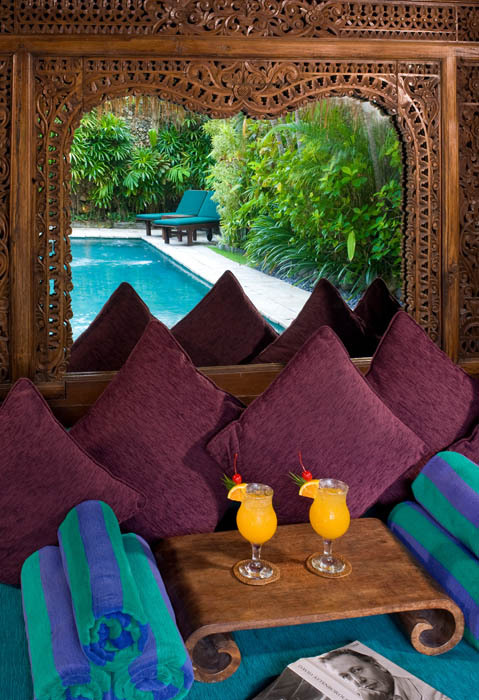 It is fulfilled with Indonesian vegetation and has a gorgeous swimming pool in its middle. 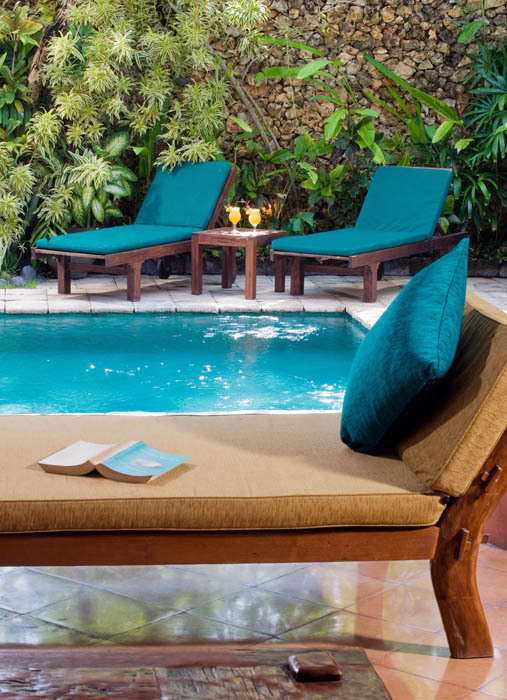 Along the pool, a â��gazeboâ�� is waiting for you to come, relax and laze lying down in it. 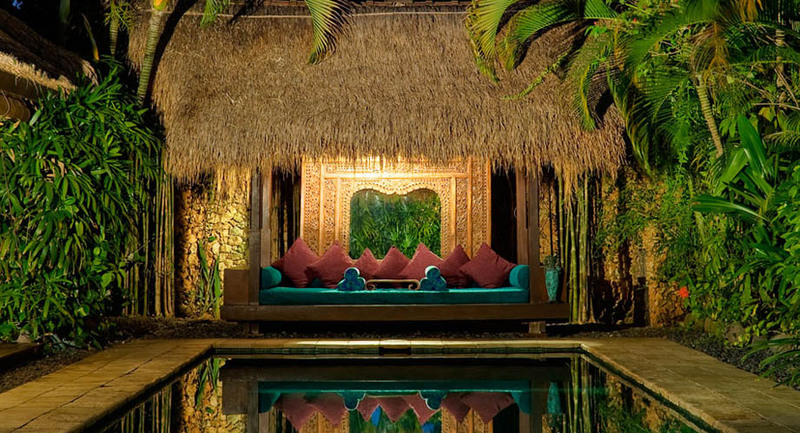 Serenity and chill out are guaranteed. 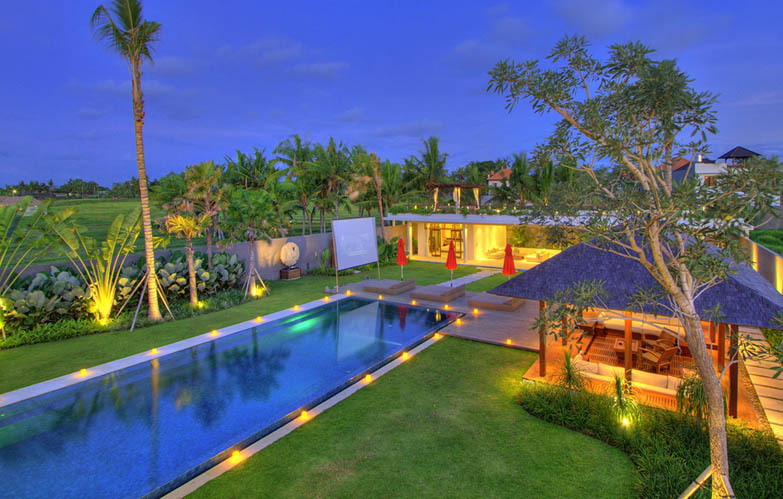 Within a few minutes walking distance, you will find different chic restaurants, bars, shops and art galleries of Seminyak. 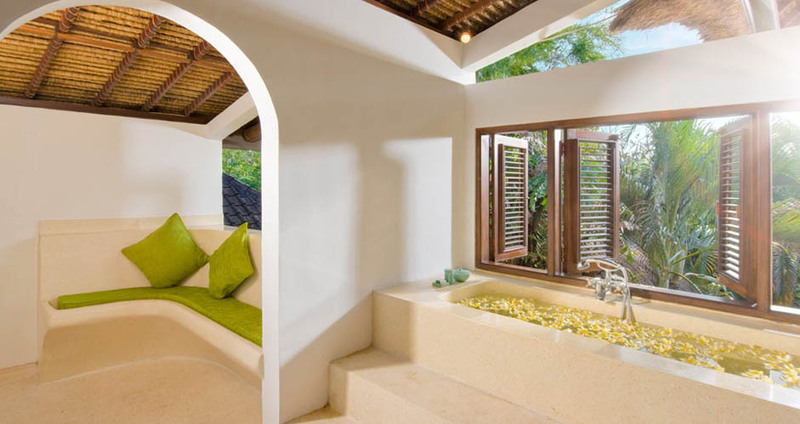 Even the beach is reachable by walking. 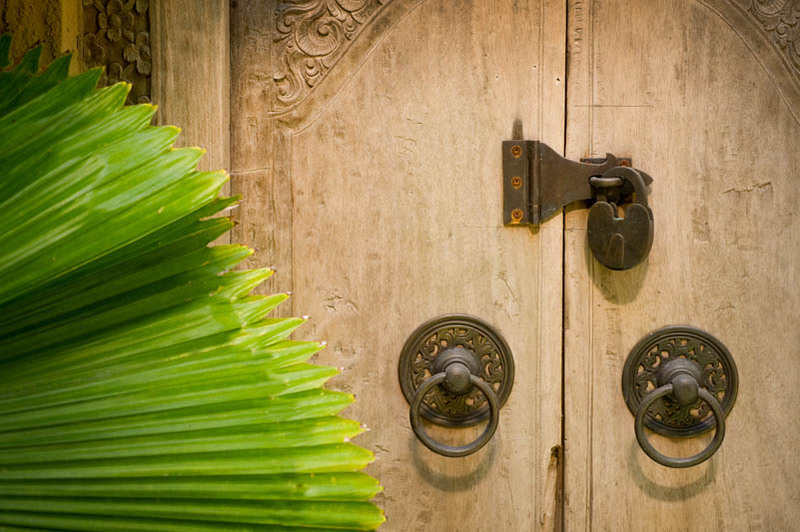 In order to offer you a stay with no constraint, a smiling house staff is looking after you wellness. 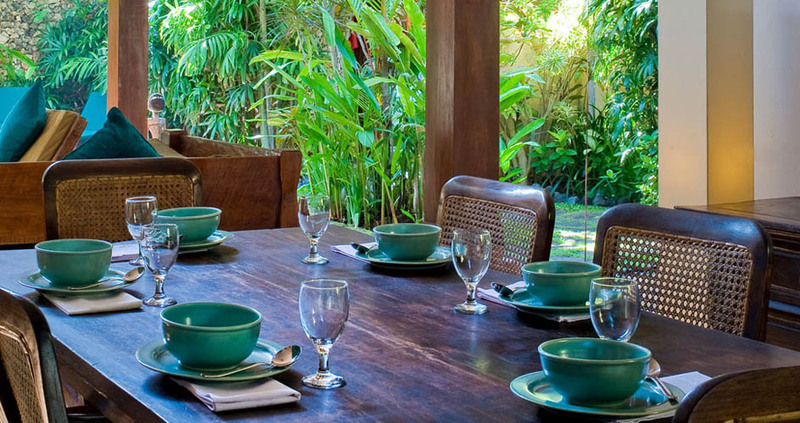 Whatâ��s more, they maintain the villa clean and are able to request for you a chef to enjoy in-house diner. 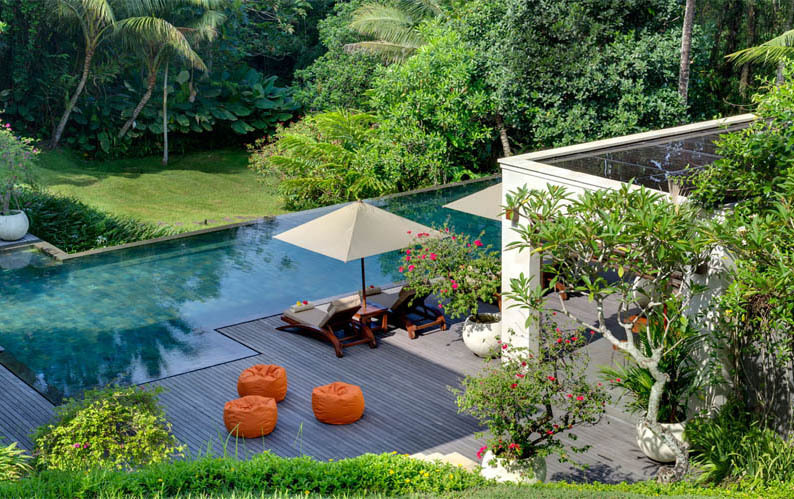 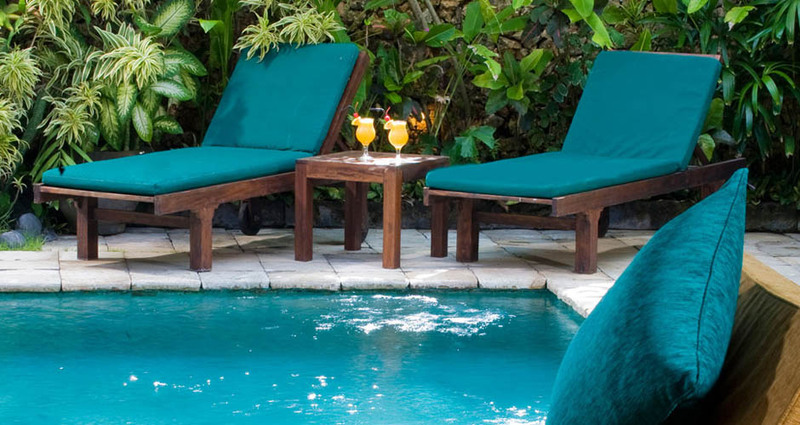 If you have special wished regarding tours and exploration of Bali, the team of Bali Je tâ��aimes villa rental can also provide you safe partners with many original and amazing activities to find out about the Island of Gods in nice ways.